Students are required to have access to a workplace, ideally a work-based project in order to apply the project management principles. This may include a previous workplace, as well as an understanding of the project environment. School leavers will not be enrolled into this qualification. Ideally participants should hold a Certificate IV in Project Management. However there are a number of other accepted qualifications from industry areas such as Business, Health and Safety etc. Many participants of this program are tertiary qualified professionals looking to migrate into a project role. If you would like to discuss your acceptance based upon your existing experience please contact our friendly team. Many students enter this qualification without holding existing qualifications. As the programs are designed based upon the work environment, experience within that environment is an acceptable point of entry. In regards to the Diploma of Project Management, this may include but not limited to experience within a project environment, or another technical field, this may be either as a manager, Project Manager, Project controller, Project Engineer, Senior Project Manager, supervisor or leading hand. Upon successful completion of 12 chosen units, participants will be awarded the Diploma of Project Management. 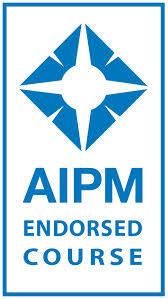 The Diploma of Project Management is highly regarded as the industry standard in the recognition of Project Managers. Participants will undertake learnings to sharpen their skills (as per key skills section) as well as the opportunity to apply Project Management skills and concepts to work-based situations. This will provide participants with the skills they need to effectively manage projects across a range of different environments. Broadly the Diploma of Project Management communicates to employers that you have demonstrated the following broad skills: Communication, Teamwork, Problem-solving, Initiative and enterprise, Planning and organising, Self-management, Learning and Technology skills. Further information is contained within each of the units. The Diploma of Project Management requires the completion of 12 units. The following are those selected by Scope Training in consultation with industry. Alternative units can be selected, please contact our friendly team to arrange. The Diploma of Project Management conveys to employers that the holder has practically demonstrated the skills and knowledge to work effectively as a Project Manager in the management of complex work-based projects. Furthermore a qualification from Scope Training advocates that the learner has demonstrated the ability to apply these skills in a work-based environment, reassuring employers of job-readiness. After successful completion of the Diploma of Project Management further educational pathways include: Diploma of Management, Diploma of Business, as well as opening the door to many other options for further skill development. If I study the Diploma in Project Management. Is the course delivered online or classroom? The Diploma of Project Management can be taken either via classroom (workshop) or online. Our next Dip PM workshop is in Perth on the 17th Feb and runs for 4 days. In regards to the online course you can commence at anytime and you have a year to complete. If you are already working as an experienced Project Manager you may be eligible to attain the qualification through our RPL (https://scopetraining.com.au/training-and-assessment/rpl/). I will have one of our staff contact you on the email supplied with some further details. I live in Perth and want to study this course. Unfortunately I have missed the February workshop but can still pick up the online study option. I have researched many training providers and found the cost for this course varies markedly. What advantage would I have studying with Scope? We find we are able to deliver affordable courses to our target market through low overheads such as marketing and large capital expenditure, not through the compromise of quality. Our continual excellent feedback and the high rate of referrals and repeat business from individuals and corporate clients can attest to this. The major benefits you will receive is training designed to suit your needs. For example I realise you have missed the Feb Diploma in PM course and would like to complete online; As an online scope student you are not limited to learning through online content, you are assigned a consultant who holds academic qualifications in the area (Most are qualified at a Masters Level) as well as proven success (not just experience) in industry, you are able to email, phone or even meet your consultant to support your learning. The learning and assessments are very practical and you can apply directly to your projects and get immediate results. Someone from admin should be contacting you to discuss further. If I take this course online, do I have to complete the whole course (12 units) in 1 year or can I study it part-time and complete the it in 2 years? By default we allow one year for completion. We can and do make exceptions on a case by case basis and could grant 2 years to complete if required- but that would need to be established upfront. To gain entry into the Diploma we look to see completion of either a certificate IV in PM or relevant industry experience. Most of our students are working professionals with current experience so we find that they are able to complete and attain the Diploma much faster. Hi Monica and thanks for stopping by. We have had quite a few request for the Dip Project Management in Darwin so will keep you in touch if we schedule one soon. In terms of eligibility, the Diploma requires the demonstration of the required skills to “manage” a project. I will pass this on to one of our PM consultants who will confirm eligibility. If you have a resume handy are you able to email it to info@scopetraining.com.au that way i can pass that on to the team as well. Are there any criteria about the type of project which is to be managed as part of the course? Thank you for your enquiry. As far as projects used for the assessment, at a Diploma level we prefer it to be a work based project instead of a personal one. Feel free to contact us at the office if you would like to discuss further as we would be happy to help. Office number is 08 9321 6307. Speak soon and regards, Melissa. Hey I really keen to do the Diploma PM, I got referred by my friend who did it through Scope last year and loved it. I’ve looked at the dates for Perth and they don’t work with my roster, is there any chance of doing the whole Diploma online and if so how would that work? I have been working as a Project Manager (engineering) for over 10 years managing multi-million dollar projects. Yes you are able to do the course fully online, a lot of students are taking this option due to its flexibility. An online course through scope isn’t like the conventional online delivery model, whilst the course is self-paced you are assigned a consultant who you can communicate with on an ongoing basis, through phone, email, or even have meetings with them. You can do what many students are doing and that is enrolling online and if you want to attend the workshop you just pay the difference and you can attend. It’s a great and flexible option. Also with your current experience have you considered RPL for the aspects which you may not require additional training? Hey I live in Canberra. Do you have this course in Canberra for international student ? We currently don’t have a Canberra workshop scheduled, but we run Corporate courses all over Australia. When our consultants are in the area they tend to alert their online students and have catch ups etc. We have a consultant who will be making a few visits to Canberra if you would like to have some coaching as part of your program. Is the online material delivered via downloadable audio or is it only written material? Thank you for your enquiry. There is a mix or written material, slides, and video content. Hi I don’t have background in managenent but I am working in the building industry. I do have a good idea about most of the process from cocept drawings until job is delivered to client. Would I be eligible for this course and will the tasks be acheivable for me? We’ll get in contact with you to discuss your specific background. Generally for entry into the Diploma of PM you need either a Certificate IV in Project Management and/or industry experience. The way we run our workshops are generally aimed at those with working experience in the management of projects, this allows us to go deeper into the project management aspect as all the learners can quickly relate to the content. The Cert IV (not sure if you have looked at that) starts from first principles and great for those working in a project environment but without the management experience. Anyway we’ll contact you and see where you are at. could you please tell me what the cost is to study this diploma online through Scope? and what are the type of assesments required for modules? written or other video/audio? Thank you for contacting us. Our office will send out some details shortly via email. I would like to complete a project management course based in Perth. Ideally I am looking at a workshops, but would consider online training. Not a fan of online, but have received a great recommendation about scope so would like some more information. Online study gives you 12 months to complete your assessments with the assistance of an assigned staff member. You are welcome to call, email, Skype, or if in Perth, you are welcome to meet your trainer face to face for a coffee and catch up. Many students have found this really beneficial. You can commence your studies at any time and can contact the office directly for an enrolment form or register through the online system. Please give us a call or email if we can assist with any further enquiries. Have a great day and we look forward to assisting you with your qualification. can you please let me know of the course fee if i am to do the course online? Is this Project Management course HECS fee deferment applicable? Hi how many of the workshops do you need to attend for the diploma? Apart from October/November course in Brisbane, will you have another before the end of the year in QLD? At the moment that is the only Dip PM course for QLD. If you are interested let us know of the dates which work and we will consider when scheduling future courses. In the meantime if you would like to commence online let us know. Quite a few students commence online then transition to workshops when the dates suit. I am looking to enrol onto the online course. Does the fees include online library and do you issue any hard copies to complete the course. The fees are all inclusive. So yes it includes all the videos etc (I’m assuming this is the online library). You also receive full support from one of us cool consultants- phone, email, skype etc. or face to face meetings if we are close. We can cover procurement management and do for many corporate clients. The reason it was removed from our standard units is that many people didn’t believe they had sufficient elements of procurement within their position and as a result felt the qualification wasn’t suited. Within our workshops we cover procurement and contracts and have a Q&A session as it adds a great deal of value. We also have great online materials to support procurement and contract management. With respects to the stakeholder management unit not being a core; effectively this is out of our control. The qualification (and packaging rules) are developed by the government and we have to follow what is specified. As an aside, the previous ‘version’ of the Diploma had (from memory) 9 core units which followed the PMBOK- in my contention this one is substantially diluted. The course prices can be found at here; they differ for each method of study. Workshop Course Costs:https://scopetraining.com.au/enrol-now/training-calendar/ for this one select a course the price should be visible. Can you confirm if I am reading this correctly… I can do the online course over a year for $1,880, or I can go to a 4 day course (weekdays) and achieve the same diploma for $2,750? Is any pre-learning required before the 4 day course? Are there any advantages of face to face over online, other than the obvious? Just enquiring about doing the Diploma of Project Management if you could email me all the details of the course that would be great. Thanks for enquiry, we will email out our current pricing for our Diploma of Project Management BSB51415. I’m just wondering if there would be any disadvantage to me partaking in the Diploma of Project Management online as opposed to the workshop? I am happy to do either but would like to know if there is any advantages/disadvantages either way. I personally find the workshops are great for discussions/networking etc. whilst online allows you more flexibility and learn at your own pace. Also consider your learning style- do you learn more from face to face and discussion or from engaging in content such as videos articles etc. just really comes down to the individual and what you want out of it. Thank you for your enquiry, we have sent out the latest course fees for this course via email. Please note we offer students payment plans at no extra cost. I hold a B.B.A. from my country, am I eligible to take this diploma?